Beacster Eggs: Find Eggs, Get Prizes! With permission, The Beacon is archiving past issues of Matthews Record (also called Matthews News and Record and The Matthews News) articles online. Throwback Thursday articles will include relevant content still facing Matthews today. This story was originally published February 21, 2008 and was written by Janet Denk. Matthews’ tax base is one of the town’s strongest suits and is the envy of neighboring communities. With the intention of maintaining a healthy blend of residential and commercial mix, the town staff hired a consultant to walk them through the process. Their findings: A person or entity, hired by the town, and working with the Chamber, the Board, and an Advisory Board made up of community and business leaders, to proactively seek out development opportunities currently going to places like Ballantyne. A joint meeting held Monday at Town Hall brought up a recurring them. Less dependence on residential and more on quality commercial projects, such as large offices which lure professional companies. The theory? Such employment centers would attract major employers that would live, work, and invest in the town. A nasty word through this process has been “retail,” which flustered many local businesses who have followed this process. Several downtown landowners attended and worried about being overshadowed by the concept of major developers calling the bulk of the shots. Bigger is not always better, was landowner Mary Yandel’s sentiment. As if, Yandel went on to explain, the landowners and their property and businesses are inconsequential. A landowning individual from Riggsbee Salon on N. Trade was perplexed by the lack of discussion on property in downtown Matthews, particularly “retail,” which she said includes over a half-dozen individual tenants. Besides the tax base issue, the most important reason to invest in an Economic Development position, many said, would be that the Town would have a dedicated “Go To” person who can provide guidance to the town, and the developers interested in setting up shop in Matthews. Frank Warren, who facilitated the meeting, emphasized the function of an economic developer. But many landowners and businesses in Matthews, particularly downtown, remain adamant about broadening discussions with regard to zoning and development. One of those is Jim Johnson who envisions, like many others, the downtown as an urban village with real businesses allowing local residents to do commonplace things. Admittedly partial to downtown, Johnson speaks for many others, inside and outside the business community who reiterate the notion that Matthews leaders make creative development difficult. Q. Why discuss economic development in Matthews? A. The Town of Matthews has a healthy blend of non-exempt ad valorem tax base with 66% residential and 34% commercial and is seeking a plant to maintain this balance. The strategic economic development currently being studied in Matthews is focusing on the vacant land around the I-485 and Independence Interchange. The goal is to strengthen Matthews’ economic muscle and positioning itself on a broader employment playing field. Matthews has a lot to offer high-end employment centers, but there isn’t an entity in town that actively “recruits” potential investors. By attracting the right projects, the town will reap the tax base that comes from commercial tax revenues, which in turn will feed the local economy and contribute to the quality of work and life. Q. We already have company headquarters in town? Why Invest in luring more? A. Matthews location off the interstate, along with its fine quality of life can be a major draw for large industries. As southern Mecklenburg County and northern Union County continue to grow, Matthews is missing out on some major investors who want to take advantage of the airport, weather, cost of living, and general economy. Within ten years, maybe less, Independence Blvd. will become a limited-use freeway, making the need for redevelopment of land and property along that corridor equally important. Q. Is this a one-time event or does it have an ongoing purpose? A. Economic development provides activities and programs aimed at improving the local and regional economies. It helps to attract and create opportunities, which help to expand the tax base, increase jobs, wages, and personal incomes. Economic development plans can cause a “ripple effect".” From their impact springs a range of related commercial activities and services. For example, Presbyterian Hospital of Matthews has served as an economic engine for medical offices and support services surround it at Sam Newell and Highway 51. The proposed Small Area Plan adjacent to the future Mecklenburg County Sportsplex in the target area mentioned above will spawn a wide variety of recreational businesses, hotels, restaurants, and other tourism and commercial enterprises. Historic downtown Matthews is in dire need of special attention, as business owners see long term success and residents have access to meaningful shopping to compliment the outlying areas. Discussions are underway about supporting (and growing) useful and relevant development such as food stores and services like cafes, boutiques, restaurants, retail, and residential. News About Town: The agenda is posted on the Town website for Monday’s Board of Commissioners meeting. The Parks, Recreation & Cultural Resource Department Advisory Committee will present their recommendations to rename the temporarily-named Rice Road Park. Under consideration are: Boyd Park, Selma Burke Park, and Rice Park. The Advisory Committee recommends Boyd Park, in honor of Sam and Viola Boyd. The Boyds were Crestdale residents and community advocates who connected community residents with county resources and played a major role in integrating Crestdale students into Mecklenburg County schools. One Fun Thing: Two more days to play! The Beacster Egg Hunt continues and we have more and more participants daily! Hop on over to the Latest News and see what you can find. Check out the hints we post on Facebook, too. AND the egg in this post counts as one, so send Norah an email to let her know you found it. For all the rules, check out this post. The Beacon would like to take the opportunity to introduce you to our newest contributor, Dr. Jeremiah Morgan. 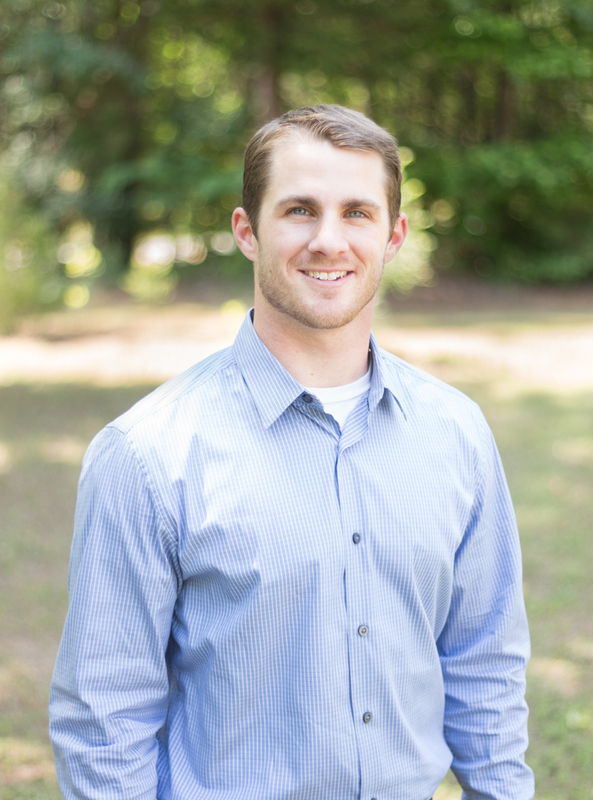 Dr. Morgan is a licensed Chiropractic Physician as well as a Certified Active Release Technique provider. He practices in downtown Matthews at ProActive Chiropractic on John Street. Let’s give him a warm Matthews welcome! A quick internet search on “Carpal Tunnel Syndrome” (CTS) will show you endless results of the same basic definition of the condition: “a medical condition due to compression of the median nerve as it travels through the wrist at the carpal tunnel.” The U.S. Department of Health and Human Services expands on the definition, “Carpal tunnel syndrome occurs when the median nerve, which runs from the forearm into the palm of the hand, becomes pressed or squeezed at the wrist.” You will also find the same list of symptoms such as frequent burning, tingling, or itching, numbness in the palm of the hand and the fingers, especially the thumb and the index and middle fingers. Carpal Tunnel is arguably one of the most familiar medical conditions; everyone knows about it! However, it is still one of the most misdiagnosed conditions . We need to start thinking bigger than just Carpal Tunnel. 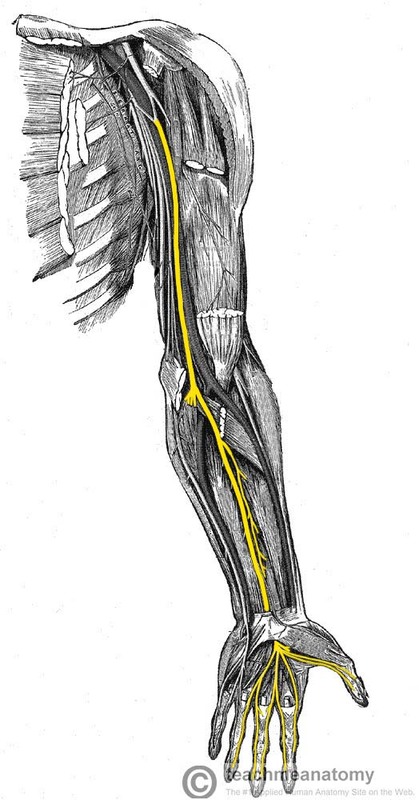 The nerves that supply the hand travel all way up into the cervical spine, this means that compression on the nerves can happen anywhere along the pathway of those nerves. Pressure anywhere can create Carpal Tunnel-like symptoms! The first step to treating Carpal Tunnel Syndrome successfully is accurate diagnosis. If someone’s nerve if getting pressed on at the shoulder (a condition called Thoracic Outlet Syndrome), then treating the wrist won’t help because they don’t have CTS. The true cause needs to be addressed. Sadly, many medical professionals are not taught how to accurately test for other sources of nerve compression. However, one encouraging piece of news is that the rates of successful treatment for CTS are increasing, and this is likely because many MDs are referring to Chiropractors, and Physical Therapists for the management of Carpal Tunnel-like symptoms. If you are having pain, numbness, or weakness in the hand, then do yourself a favor and contact your local Chiropractor or PT to schedule an evaluation! There are a lot of stretches that are recommended for Carpal Tunnel-like symptoms. Some are more effective than others. In my own clinical experience, the one that is the most effective on the whole nerve from top to bottom is the nerve glide exercise. This is also referred to as a “nerve flossing” exercise. This stretch is designed to help take tension and pressure off the Median nerve through a combination of movements. Here is a good instructional video on YouTube that explains and demonstrates how to do it. So, before you start wearing the brace or consider aggressive procedures like surgery, have your wrist looked at and treated by a local Chiropractor, Physical Therapist, or Massage Therapist and see how they can help alleviate your symptoms. News About Town: If you’re on Facebook, make sure you’re following the Town. This afternoon at 4 p.m., Commissioners Chris Melton and John Urban will host a live Q & A. Submit your questions in the comments section and the commissioners will do their best to answer them. News Around Town: On Saturday, March 30, Kiwanis Club of Matthews served nearly 200 people at their annual pancake breakfast. The event raised close to $4,000 for the club’s nonprofit foundation, and will be used for a variety of Kiwanis’ community service projects. Our Week-Long Spring Break Fun Thing: Don’t forget, we’re hiding Beacster Eggs around the site: 5 each day and a bonus on the post explaining the rules. Find the eggs, let us know where you found them by emailing norah@matthewsbeacon.com, and you get fun swag! One of the many things that makes Matthews great is the community spirit, the space where volunteerism thrives. We today we give a High to five volunteer opportunities. Brace YMCA: The Y needs volunteers for all sorts of things, from administration duties to helping at Camp Boomerang, giving your time helps others thrive. 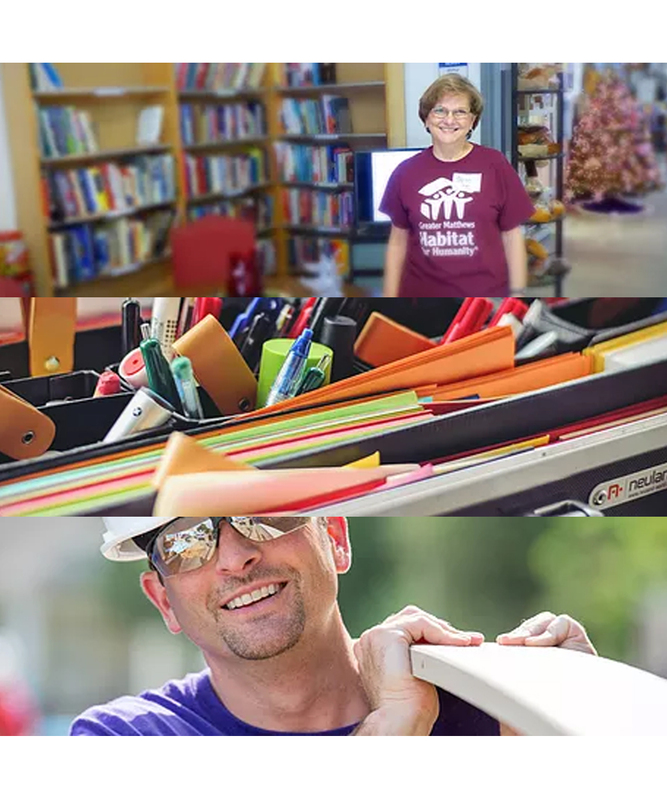 Greater Matthews Habitat for Humanity: With Habitat the volunteeer needs abound. Work on the build sites, in the ReStore, or with the administrative team. If you feel more comfortable working from home, sometimes there are opportunities to provide meals for the builders. 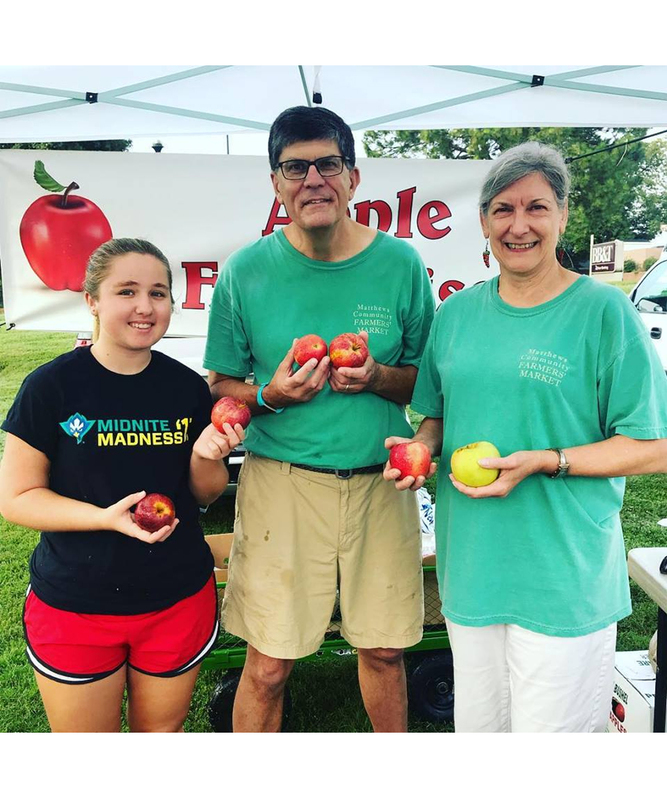 Matthews Community Farmer’s Market: Show up early and buy your weekly groceries, then fill in a volunteer slot. The Market needs help with the Community House, morning set up, noontime take down, and more. Matthews Fire Department: Certainly more demanding than the other volunteer roles, but volunteers for the fire department are essential for the safety of Matthews. Matthews Police Department: Another essential role for the safety of Matthews, Citizen Volunteers for the police department are trained for directing traffic, security patrols, and resource support to officers. If that’s too much action, you can help at the front desk or data entry. News About Town: It's National Telecommunicators Week! Telecommunicators are the people who take your emergency calls, provide instructions while you wait for first responders, and do their best to be a voice of calm reassurance at the worst of times. It's a stressful and often thankless job. Renee recently went behind the scenes with the telecommunication director for the Matthews Police Department. Join us in thanking them for their service! News Around Town: Taxes are done, and it’s time to celebrate—with plants! Tax day happens to be the frost-safe date for Matthews (growing zone 7b), so we should be in the clear for planting those frost tender annuals like tomatoes and squash. In double good news, it’s still cool enough to grow leafy greens and cabbages, so you can grow the best of both worlds. One Fun Thing: Since it’s Spring Break, we’re having some fun! Each day we’re hiding Beacster Eggs around the site: 5 each day and a bonus on the post explaining the rules. Find the eggs, let us know where you found them, and you get fun swag! It’s time for a little spring break fun! 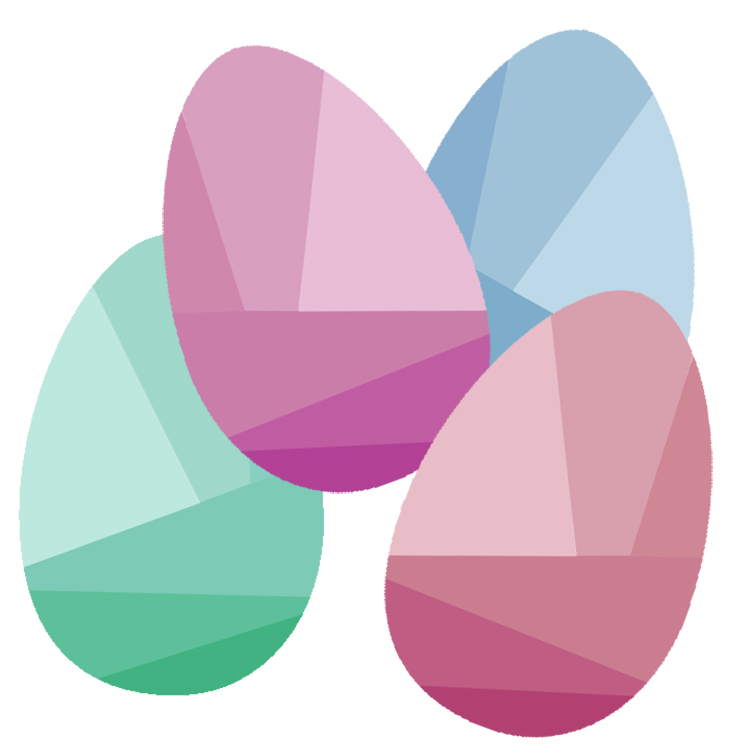 Each day this week we will be hiding 5 Beacster Eggs around the site. Eggs will be located in new content as well as our archives. Spot the eggs and win! When you spot an egg, click on the image to send an email to Norah showing you found it. Include the title of the article as the subject line. (Or simply email norah@matthewsbeacon.com with either a screenshot or a link to the page you found it on). New eggs will be posted daily, egg spotter submissions must be made before 6 a.m. the following day (the next Morning Minute). Each day we’ll draw a winner for some sweet Beacon swag, at the end of the week the person who has spotted the most eggs will receive a grand prize! Beacon tote bag, water bottle, and pen. A $30 Gift Card to Renfrow’s! PS: The egg on this page counts as one but there are five more hidden throughout the site. Want hints? Follow us on Facebook! News About Town: Every five years Mecklenburg County and the cities and towns therein must update the County's Hazardous Mitigation Plan to remain eligible for FEMA disaster funds in the event of a federally declared disaster. Work recently began on an update and citizens are being asked for input to help prioritize efforts to mitigate hazards and prepare the community. A survey has been created and is available here. News Around Town: Have you noticed stronger cell reception lately? Mini cell towers are going up around town. These towers look more like a Duke Power pole or street light than the usual imposing structure, so you may not notice them. See if you can spot the one on Independence Pointe Parkway. For more information about mini cell towers, visit crowncastle.com. This #FiveForFriday Morning Minute News Round Up is for the week of April 8 through April 12, 2019. News About Town: Prior to [the April 8] BOC meeting, the Board had a special meeting in the Jordan room to hear the results of a workload analysis for the Matthews Police Department. The Center for Public Safety Management performed the analysis. CPSM's report details 74 recommendations to improve the safety and efficiency of MPD. The full report is available here. The presentation from the meeting is here. News Around Town: As the weather warms and outdoor activities pick up, so will snake sightings. Many snakes are beneficial to have around, eating mice and other snakes. If you find one in your home or garage that needs removing, Carolina Waterfowl of Indian Trail will come to Matthews and remove it. Text and send a photo of the snake to 704-684-9247 for help. News About Town: The Mayor and Town Council recently sent a letter to the Charlotte Regional Transportation Planning Organization (CRTPO) asking them to amend the State Transportation Improvement Program (STIP) to divide the Matthews portion of the NCDOT project into two portions (Trade St. to I-485 and I-485 to the Stallings line) and to delay work on the Trade to I-485 portion of John St. until after other funded and scheduled area transportation projects have been completed. Those projects include improvements to Independence Blvd., McKee Rd. Extension, Weddington Rd. I-485 ramp, among other projects. The CRTPO will vote during their April 17 meeting, which starts at 6 p.m. in Room 267 of the CharMeck Government Center (600 E 4th St, Charlotte, NC 28202). News About Town: On March 29, Chief Clark Pennington attended a ceremony with regional community leaders to recognize April as Child Abuse Prevention Month in Mecklenburg County. Hosted by the Mecklenburg Child Abuse Prevention Team, the ceremony was well-attended by many regional community leaders. At Monday's Council meeting, Mayor Paul Bailey proclaimed April 2019 as Child Abuse Prevention month. Heather Johnson, the Director of Operations for Pat's Place Child Advocacy Center, was at the meeting and accepted a certificate for the proclamation. Blue pinwheel gardens have been placed at parks, schools, and homes throughout the county, with several in Matthews. The web address on the accompanying sign has links to report abuse, and local resources for both prevention and healing. News About Town: If you haven’t seen it, the Town of Matthews created a short video summarizing the State of the Town. The video, hosted by Mayor Paul Bailey, hits on the major successes of and issues facing Matthews today. At 8 minutes long, you can watch it while you brew that second pot of coffee. One Good Thing: Matthews' Food Truck Friday kicks off tonight at Stumptown Park (120 S Trade St; Matthews) with music from The Catalinas. Bring a chair or picnic blanket, grab some delicious food from your truck of choice, and settle in for a relaxed musical evening. The fun starts at five and goes until nine. With permission, The Beacon is archiving past issues of Matthews Record (also called Matthews News and Record and The Matthews News) articles online. Throwback Thursday articles will include relevant content still facing Matthews today. This story was originally published March 22, 2007 and was written by Janet Denk. Reduction of pollution. Trees absorb carbon dioxide produced by automobiles, creating cleaner air. They reduce noise pollution on busy streets and create a barrier for private areas. Trees also reduce water runoff, stabilize soil and filter pollutants, reducing costs associated with storm water control and water treatment facilities. When strategically placed, trees can decrease utility bills by up to 50 percent. Property values of homes with tress or homes located near city parks are reportedly 20 percent higher. In addition, studies show that businesses on tree-lined streets experience a 12 percent increase in sales versus those without trees. Trees and green spaces do more than provide shade or a place to play. Neighborhood parks and gardens encourage tighter-knit communities, which lowers local crime rates. Research shows that productivity at businesses with outdoor areas is higher while stress and aggression levels are lower. Children also benefit from being exposed to green. Students who have a view of trees and greenery are proven to perform better at school. Arbor Day celebrations across the nation will have impacted the earth in many ways. Hundreds of volunteers will have planted more than 1,000 large trees and even more seedlings across the country. Check out www.arborday.org to learn more. 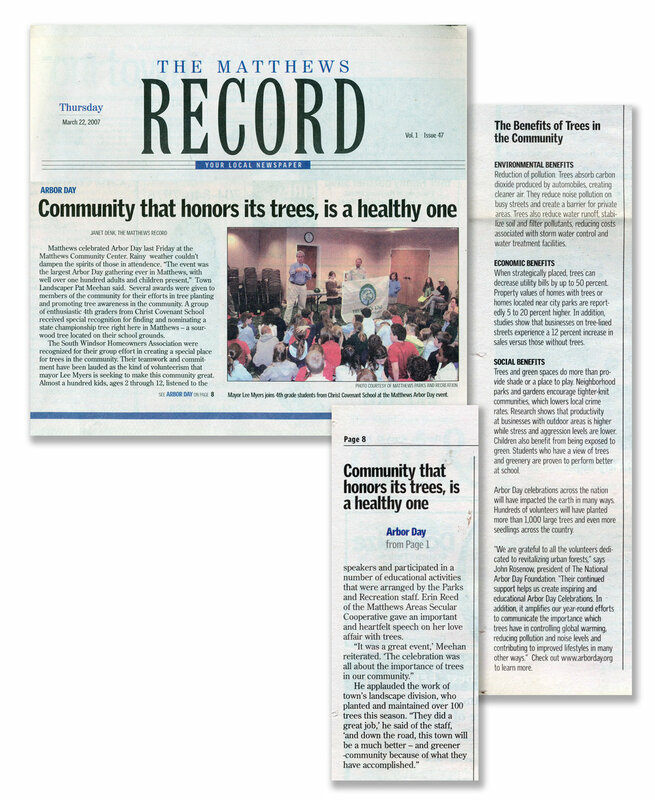 Matthews celebrated Arbor Day last Friday at the Matthews Community Center. Rainy weather couldn’t dampen the spirits of those in attendance. “The event was the largest Arbor Day gathering ever in Matthews, with well over one hundred adults and children present,” Town Landscaper Pat Meehan said. Several awards were given to members of the community for their efforts in tree planting and promoting tree awareness in the community. A group of enthusiastic fourth graders from Christ Covenant School received special recognition for finding and nominating a state championship tree right here in Matthews - a sourwood tree located on their school grounds. The South Windsor Homeowners Association were recognized for their group effort in creating a special place for trees in the community. Their teamwork and commitment have been lauded as the kind of volunteerism that mayor Lee Myers is seeking to make this community great. Almost a hundred kids, ages 2 through 12, listened to the speakers and participated in a number of educational activities that were arranged by the Parks and Recreation staff. Erin Reed of the Matthews Areas Secular Cooperative gave an important and heartfelt speech on her love affair with trees. — John Rosenow, President of the National Arbor Day Foundation. News Around Town: According to the NC Public Health Inspections website, 16 restaurants and food service establishments in Matthews have had health inspections since April 1. All of those inspections resulted in Grade A results. Those inspected include: Cracker Barrel (Independence Blvd. ), Domino’s Pizza (Siskey Parkway), Dorian’s Deli, East 74 Restaurant (Monroe Rd. ), Food Lion (both the Deli/Bakery, and Market at Hood’s Crossroads), Fuzzy’s Taco Shop (Sycamore Commons), Genghis Grill (Windsor Square), Gourmet to Go (Mt Harmony Church Rd. ), Harris Teeter (Deli at Plantation Market), Machu Picchu, Novant Health Matthews Medical Center, Publix (both the Bakery/Cafe, and Deli on Fincher Farm Rd. ), Que Onda Tacos & Tequila (Plantation Market), Royal Cafe & Creperie (Matthews Station), Temple Mojo (Trade St.), and Zoe’s Kitchen (Sycamore Commons). One Good Thing: This Saturday, April 13th, catch the Easter Bunny at Matthews Community Center at 10 a.m.! The famed rabbit will be available for pictures until 1 p.m. The event is free and open to the public. 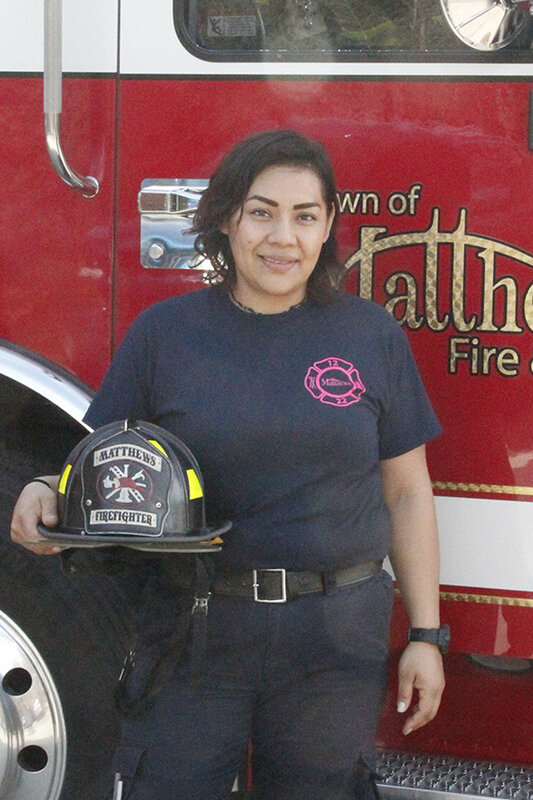 Monroe resident Dulce Bravo plays an essential role in Matthews; she’s a firefighter for the Matthews Fire & EMS Department. Of the firefighters in the US, only 7% are women. There are eleven women in the 84-person Matthews Fire & EMT Department, including one paid full-time firefighter, three firefighter/EMTs, and seven EMTs. Of the twelve Fire Corps members, a whopping 25% are women. Bravo, as her coworkers call her, is that one full-timer. Thanks to a budget increase for the Matthews Fire & EMS Department in 2018, Bravo was one of eleven new hires. Her strong sense of community and her eagerness to serve brought her to Matthews. She loves the small town friendliness and being able to support the community in an integral way. It was a chilling experience that led Bravo to emergency services: a friend died in front of her. That friend, she believes, could’ve been saved with CPR. It’s an experience that led her to train to save lives and etched in her a firm belief that more people should be trained to perform CPR. She first trained as an EMT and started responding to calls, but as she watched firefighters going into burning buildings she realized she wanted to be the one to do that--the first to go in to help, the first to administer first aid. Waiting was not for her. Bravo studied, trained, and became a certified firefighter. Her first job was as a volunteer in the Monroe Fire Department. In a field where technology continually improves and levels the physical playing field, more and more women are joining fire departments. Gone are the days when it was thought a firefighter had to be able to throw a someone over their shoulder to carry out of a burning building. Newer techniques and lighter gear make it possible for someone who can’t bench press their own body weight to pursue a firefighting career. Still, fighting fires and saving lives is not a job for the faint of heart. It takes sharp thinking, quick problem solving, and the ability to communicate and work as a team. While working, firefighters must maintain composure under tremendous pressure, and, of course, be strong. The protective gear alone can weigh 45 pounds, add a fire hose or ladder to that and the added weight can be 100 pounds or more. Bravo may not bench press an elephant, but we still wouldn't challenge her to any feats of strength. Even after realizing there may be challenges as a female in a male-dominated field, Bravo knew a career with Matthews is for her. Before joining, she wondered if being a woman would matter. Having been in Matthews for several months now, she says of the department, “They’re supportive, patient, and they don’t make you ‘feel like a girl.’” What Bravo has found here is camaraderie, respect, and a group of people who are first and foremost dedicated to helping others. 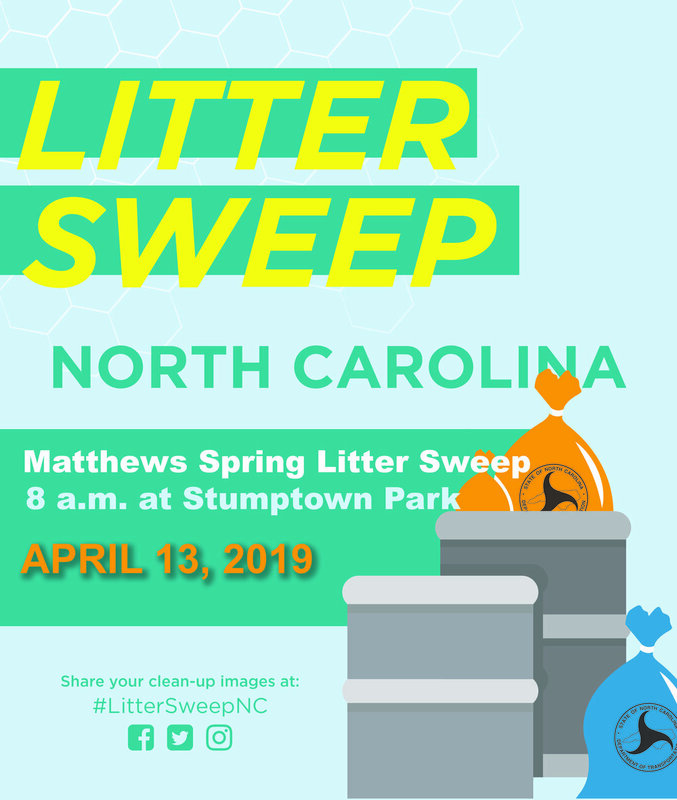 News Around Town: Speaking of NCDOT, they're hosting state-wide litter sweeps, and you can participate in Matthews. This Saturday, April 13, meet at Stumptown Park at 8 a.m. for the Spring Litter Sweep. Volunteers will provide direction for where to pick up litter, as well as orange safety vests, trash bags, gloves, and tools for trash pick up. One Good Thing: The Matthews Playhouse School of Theater will have its second weekend of performances this Friday, Saturday and Sunday. Catch The Music Man Jr. on Friday (7:30 p.m.) and Saturday (2 p.m.), and Stuart Little on Saturday (7:30 p.m.) and Sunday (2 p.m.). 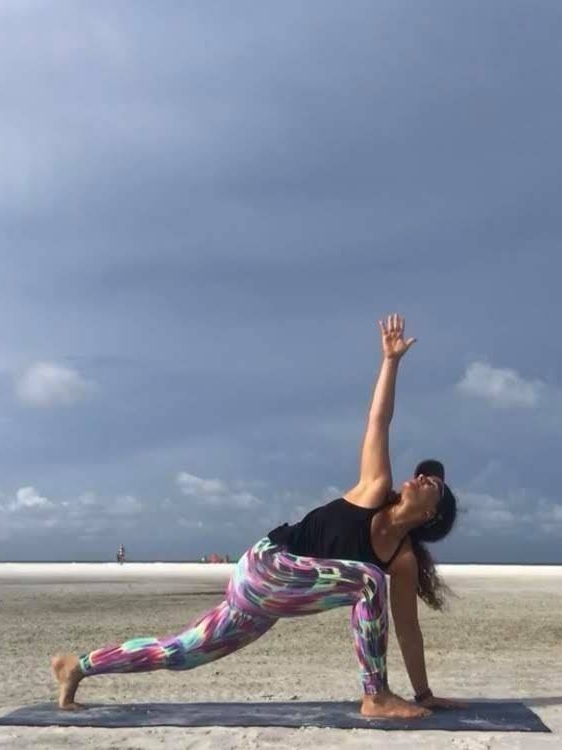 Matthews may not have a dedicated yoga studio, but there are plenty of opportunities to get your Savasana fix. We’ve rounded up a few, but if you know of more, share them in the comments!